Pit quenching furnace metal parts will be heated to an appropriate temperature and maintained for some time, then immersed in quenching medium rapid cooling metal heat treatment process. Quenching medium commonly used brine, water, mineral oil, air and so on. Quenching can improve the hardness and wear resistance of metal parts, which are widely used in a variety of industrial, mold, measuring tools and wear-resistant parts (such as gears, rollers, carburized parts) that require surface wear. By quenching and tempering at different temperatures, the strength, toughness and fatigue strength of the metal can be greatly improved, and the cooperation between these properties (comprehensive mechanical properties) can be obtained to meet the different requirements of use. In addition to quenching can also make some special properties of steel to obtain a certain physical and chemical properties, such as quenching so that the permanent magnet to enhance its ferromagnetic, stainless steel to improve its corrosion resistance. Quenching process is mainly used for steel. Commonly used steel heated above the critical temperature, the original at room temperature will be all or most of the organization into austenite. Then the steel immersed in water or oil rapid cooling, austenite that is transformed into martensite. Compared with other organizations in steel, martensite has the highest hardness. 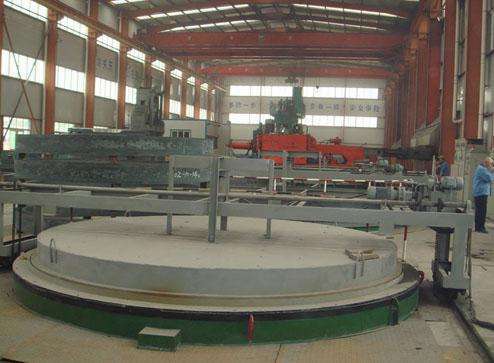 Quenching rapid cooling will cause internal stress within the workpiece, when it is large to a certain extent, the workpiece will be distorted or even cracked. To do this, you must choose the appropriate cooling method. According to the cooling method, quenching process is divided into single-liquid quenching, dual-media quenching, martensite graded quenching and bainite austempering 4 categories.